Syria’s 2 million Christians face an intolerable dilemma. The bad option is for Bashar al-Assad to retain his brutal grip on power. The worse option — for Chistians, at least — is for Assad’s dictatorship to fall. As some have predicted, persecution of the country’s Christian minority is escalating as the civil war spreads. Islamists, who now dominate the opposition, have embarked on a bloody campaign of genocide against Christians, who constitute about 10 percent of the population. In response to historic and ongoing genocides, human-rights advocates are speaking out on governments’ responsibility to protect (R2P) the people within their borders. When governments fail to do so — or even commit genocide themselves — then the “international community” supposedly has this responsibility. The Syria crisis vis-à-vis its Christian population, however, seems to be exposing R2P as a mere pious platitude ... like the international ban on chemical weapons. The impact of the conflict, however, is enormous … and widening. 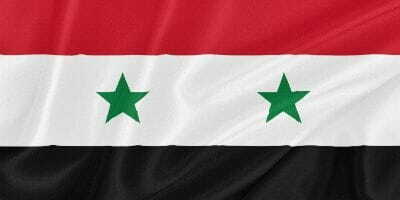 Shea says that “the Christians of Syria have already suffered massive reprisals. Since [July], attacks against them have only intensified. … the ancient mountainside Christian village of Maaloula, just north of Damascus, has been shelled by rebels from a position of higher ground. Many Syrian Christians have fled to Lebanon, but those who remain report that they fear ethnic cleansing." At the hearing chaired by Smith, Christian Solidarity International CEO John Eibner said, after he met many displaced Christians and church workers in Syria, “Victims recounted to me the religious cleansing of Christian neighborhoods in Homs and Qusair by armed jihadists who threatened them with death if they did not leave their homes." If only we could discount these reports as the work of overactive imaginations. Unfortunately, they are becoming commonplace. Such actions and attitudes are not without precedent in the recent history of the region. When American troops overthrew the secular (but murderous) regime of Saddam Hussein nearly a decade ago, Muslims took advantage and began persecuting Iraq’s Christians, forcing many to flee (ironically, to neighboring nations such as Syria). Today, only about a third of the Christians of Iraq remain in that country. A similar pogrom could await them and their Syrian brethren. The recent chemical weapons deal brokered by Russian President Vladimir Putin — a patron of Assad — may keep the current regime in power. Whether that will lead to a lessening of Islamist violence against Syria’s Christians, however, remains to be seen. Whatever happens, prayer is essential. Stan Guthrie is author of the new book A Concise Guide to Bible Prophecy: 60 Predictions Everyone Should Know. Stan blogs at http://stanguthrie.com.